As many of my readers have probably noticed, my writing always gets a little slow this time of year. This is, in large part, due to the work I do, which is always busiest in the winter. It is also the holiday season, and any free time from work I have, well family first. However, this year there has been another reason I have been a bit less productive in my writing here at Delaware Right. To be completely honest, following this past election I have been a bit, shall we say? Disappointed. Let me be clear, I am not disappointed that Hillary Clinton was not elected, I would have been just as disappointed had she won the election, though for different reasons. I am not just disappointed Donald Trump won, I am disappointed that such a candidate could ever win. My real disappointment is with my fellow citizens, of all party affiliation, of all ideology, of all viewpoints. It seems as though we Americans have abdicated our responsibility as voters, to do our due diligence at informing ourselves, and in seeking out the best candidates for all offices, at all levels of our government. Instead, we have boiled down our views to nothing more than bumper sticker enmity. We no longer take the time to seek out real knowledge, but simply swallow, that which we are spoon fed by the media outlet which most mimics the views we already hold to. There is no intellectual honesty, no internal questioning of right and wrong. And though it has become cliché, the term tribal is very appropriate to describe the current climate in our political atmosphere. I was fond of comparing the behavior of the electorate to that of NFL fans. No matter how bad my team is, they are my team and I will support them, just in case someday they actually win. I have been guilty of this behavior myself in the past. I have been the good little Republican, whatever the hell that means. Of course it means something different to everybody. I have been guilty of thinking I knew what it means to be a Republican, to be a conservative, and have judged others based on my own personal definitions of those labels. I have also been judged by others based on their own definitions of those labels. I have been the right-wing radical, I have been the moderate, the establishment RINO, I have been called a liberal, and I have taken it all with a grain of salt, and amusement. I have never really cared what most people think of me, or say about me, because I chose to give my opinions unapologetically in the most public manner. I have been a caller to local radio, and I have written for several blogs. I have been doing this now for little over a decade. I have made enemies, and what I have thought were friends, and some who actually are my friends. I have always attempted to be consistent, and above all else, honest with my readers, and myself. Over these ten plus years I have made several changes. I have changed the blogs to which I contribute, and I have at times changed my views about issues, not in spite of my guiding principles, but because of them. As I weigh, and constantly examine my principles, and apply them to different problems and issues, based on new information, I have at times found it necessary to reexamine my position. And when need be, I have altered that position. I have not done this quietly, in the hopes no one would notice, but have drawn attention to these changes, and defended my new position when need be. It seems as though I have once again reached another of these forks in the road. I have, since the election, been considering the new political landscape upon which we now stand. I feel we can no longer afford to continue on the path of divide and concur. It is the divisiveness of the current political arena which has landed us, in what many feel is, rock bottom. Donald Trump is not the problem, he is the result of the problem. The problem, is that we as Americans have decided we no longer will talk to anyone who holds a different view than our own. We have come to believe that the only way to achieve anything, is to completely destroy all opposing views. To silence the opposition, rather than to engage them in intellectual give and take in order to find a common ground which benefits the most citizens as possible. And let me be clear, this is a problem within all parties, the two major parties, as well as the smallest of parties. They all seek to position themselves in some manner which will grow their ranks in order to gain control of whatever small piece of the government power they can. But again, this is not the problem, the problem is the voters. The voters seem less concerned about the ideas and solutions being put forth, than they are about what shirt the candidate wears. Are they an “R”, or a “D”? Once elected, the legislators take it to the next level. Instead of seeking solutions, and putting forth ideas in the hope of bettering the conditions of the citizens, they instead spend their time pointing fingers at the opposing party. And when any type of compromise is founded, it’s not for the betterment of the lives of the people, it is to give both parties some vantage point from which to brag they have actually done something. When in reality, nothing changes, and nothing gets done. From this point forward, my personal goal is to no longer spend my time trying to convince others they are wrong. I have been guilty of this in the past, and unfortunately will most likely fall prey to it in the future. But I intend to make every effort to instead listen to others, to allow them to convince me why they think they are right. I want to listen in order to hear the parts of what they say, which I may agree with. I can’t do that if I am simply looking for the next chance to point out their mistaken ideology. Now this does not mean I will stop putting forth my own ideas, my own views, and I will as always welcome a good challenge. But I want these to be conversational, rather than debate. Let us all try, instead of looking only for what is wrong in another person’s view-point, to look for what is right, to take that and attempt to build upon it, to acknowledge the merit of it. All who read here regularly, know my pessimistic views of the forthcoming Trump administration. That being said, I believe I am intellectually honest enough to admit when I am wrong. If Trump’s fiscal plans of creating a trade war with China, and levying punitive tariffs on imports does not result in higher prices for American consumers, then I will acknowledge it. I would hope that from the other side, if his plans do have a negative effect, his supporters will be just as honest, because if not, how can we hold our elected officials accountable? If we cannot be honest with ourselves, how can we be honest with others. If we will allow our elected officials to be corrupt, and to drive us into the ditch while we sit quietly in the backseat, simply because they are a member of the “RIGHT” party, then we are to blame as much as the driver. There is no team in right and wrong, there is just right and wrong. We must elect the people most qualified for the job. We must stop choosing up sides based on party partisanship. There is no conservative, or liberal in right and wrong, there is just right and wrong. When we were children, we were taught the basics of right and wrong, and they hold true today. From this point forward, I am neither conservative, nor liberal. I no longer care about party affiliation. I am only an American citizen, a resident of Delaware, one man, one vote, and I will cast that vote as I feel best serves the greater good. And I will support the candidate I feel will serve the people best. Consider this the end of the year post, I most likely won’t get another up between now and New Years Day. It’s symbolic of sorts. The old year out, and the new year in. The new year will also be bringing, what I hope are, positive changes to Delaware Right as well. Changes which I hope will further create a space for people of all view points to gather and have the conversation. 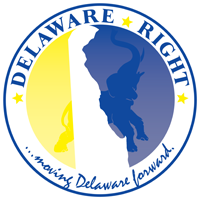 Have a happy and safe New Year, from myself, and all of us here at Delaware Right. 22 Comments on "What Now?" Yeah, thanks for maintaining this forum ! That actually was HRC’s tweet. I borrowed it because I like it better than Trump’s. Thanks Frank for your thoughtful and often humorous postings. Trump had one “qualification” that none of the other GOP candidates possessed- he had the ability to defeat Hillary Clinton. And he did. And in so doing, he did a great service to all Americans. Imagine two or three more leftist ideologues appointed to the Supreme Court. Imagine four or eight more years of the failed Obama-Hillary foreign policy. Imaging the continuation of endless, burdensome regulations that stifle business. Obviously, some people have a newfound confidence in the economy- the latest consumer confidence index is the highest it’s been in fifteen years. The stock market, which the “mainstream” press told us would tank, is at an all-time high. Knowing that no new regulations and taxes will be forthcoming, CEO’s will now be able to expand operations and hire new employees. During the Obama administration, the Socialist-Democrats have lost 1000 federal and state legislative seats. They lost control of the House of Representatives. They lost the US Senate. The GOP holds thirty governorships. And now, the White House. Despite the collaboration of the “mainstream” media and academia, the Socialist-Democrats are in a tailspin. And their supposed “saviors” are all in their 70’s. Good luck reviving a party lead by Pelosi, Sanders and Warren. The GOP survived the ’16 Senate elections fairly well. Remember, the Socialist-Democrats were going to regain the Senate. Instead, the Republicans lost the inept Kirk (IL) and the perennial RINO, Kelly Ayotte (NH). Big deal. Let’s see what happens in ’18, when the Socialist-Democrats will have to defend twenty-five Senate seats, many of them in “red” states. Sixty GOP seats is within reach. Trump will resurrect the economy. But his greatest achievement will have been to simply deny Hillary Clinton the presidency. And that is the best Christmas president America could have ever hoped for. Rick, predicting the past from the present is no great feat. Stating that none of the other Republican primary candidates could have beat Clinton is easy to say, but can never be proven since that toothpaste is out of the tube. As for your predictions of the Trump administration success, well that remains to be seen. I am counting on you to be honest if he tanks, and not simply cop out with, “at least it wasn’t Clinton “. Isn’t the assumption here that Trump is a dyed-in-the-wool Republican simply because he ran on the Republican ticket? He’s a populist and no one–probably even Trump himself–knows what a lot of his positions are. And as a corollary, isn’t Rick assuming a singular lack of ideological diversity within the Republican Party? As a local example, Ernie Lopez is not a clone of Rich Collins. On the national level, Susan Collins is no Jim Inhofe. Trump won the electoral college–and not by the landslide he claims. He lost the popular vote big league. He got where he got in the main by appealing to the worst instincts of many angry folks–and some who weren’t angry until he whipped them up. With the exception of opportunists like Rob Arlett, Trump was not the first choice of a great number of Republican voters. Many held their noses and hoped for the best because they didn’t want HRC, especially after Trump and his surrogates demonized her. What is proven is that they couldn’t beat Trump. Trump won the electoral college–and not by the landslide he claims. The states elect the president- and Trump won thirty of them. That’s 60%. Yes, people voted for Trump because they didn’t want Hillary, but it’s not because Trump demonized her; it’s because they have eyes and ears… and a memory. 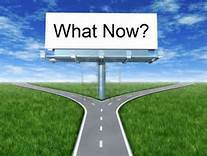 Frank asks ,”what now”? Well ,we watch what happens, and voice our discontent if the need arrises. That’s all we can do. The fact that the name Goldman Sachs is even mentioned in connection with the new administration is enough to keep me with a healthy dose of suspicion. The number of states won is not how presidents are elected, as you well know. It’s the number of electoral votes, and Trump won 306 votes of the total 538 votes (56.5%). Hardly a blow-out. For that, look to Reagan at 489 and 535 or Nixon at 520 or George H W Bush at 426. Even Obama bested Trump at 332 and 365. Darrell Huff could write a chapter on Rick, if he were still alive. The number of states won is not how presidents are elected, as you well know. But the states- through their electors- elect the president. And Trump carried 60% of the states. Hillary carried 40% of the states. Thus, Trump won the election by 20%. Now, Hillary won the popular vote. But, she won California by what, 3 million? Which shows the wisdom of the Founders. States- and regions- have disparate cultures and economies. While rich urban areas and their welfare plantations have a high population, their views are incompatible with the Heartland. And vice-versa. Hence, the Electoral College. Since the left has learned nothing from the election, good luck defending 25 Senate seats in ’18. If there wasn’t an Electoral College, eventually the population clusters would vote for their own interests , and over time most people would be forced to relocate to these populated locations leaving only the very wealthy, and subsidized farming in the rural areas. Yes, Clinton won California by a whopping amount. You ignore altogether though that Trump barely squeaked by in Michigan, Pennsylvania, Wisconsin, and North Carolina. Those four states gave Trump a total of 61 electoral votes. If Clinton had edged him out in those states, the final result would have been Trump with 245 electoral votes and Clinton with 293. And Clinton would be president-elect. Trump would be claiming that the election was rigged, much as he did during the primaries when he was pissed at the winner-take-all formula. Of course, when that formula benefited him on Nov 8, he’s taken instead to claiming a mandate that doesn’t exist. My point is not to call into question the legitimacy of the outcome of the election. I’m saying that Clinton got a lot more votes than Trump did overall. And though she trounced him in California, she nipped at his heels in a number of swing states. You can color them red because of the winner-take-all formula, but if you scratch the surface you’ll find a lot of blue is those states too. Hence nothing. What bunkum you spew. The Heartland states didn’t exist when the Founding Fathers were around. And the only plantations extant in the South. The Heartland states didn’t exist when the Founding Fathers were around. The Founders were not only prescient, they knew history. They understood the difference between urban and rural, between South Carolina and Connecticut. And they foresaw the potential disaster of a dominant urban majority. Now, go smoke your bunkum. Today’s Heartland belonged to the French. What map are you looking at? honi soit’s figures do not include the votes cast, but not counted, due to the GOP’s Crosscheck scheme, where Clinton might have won the above mentioned states. A Trump presidency would be under a cloud of illegitimacy if the “liberal” media actually cared to focus on it. People like you just drift off into the sunset and go to work. On Jan. 20, Trump will be sworn in a President of the United States. Period. I don’t care if he won by one vote. He won. Get over it. I have to agree with Rick, on January 20th Donald Trump becomes the next President, and we had all, whether you like it or not, get focused on holding him accountable. For jamming Obamacare through with no debate through reconciliation? For failing to “preserve, protect and defend the constitution” by his ignoring federal immigration laws? For doubling- that’s right, doubling- the federal debt? For circumventing the US Senate’s “advice and consent” role on treaty ratification and codifying a “deal” with Iran? By doing everything in his power to subvert US energy production. Luckily, he did something else. He ushered-in an unprecidented Republican resurgence. The US House of Representatives. The US Senate. Thirty-three governorships and 900 state legislative seats. And the White House. The power of unintended consequences. Thank you, Barack, and good riddance. I mean seriously, aren’t any of you Republicans just the least bit embarrassed by Trump’s behavior? …aren’t any of you Republicans just the least bit embarrassed by Trump’s behavior? Were you “embarrassed” when B. Clinton seduced a young intern- and then lied about it? Were you “embarrassed” when Hillary blamed Benghazi on a video, when she knew it was an Al Queda plan all along? Were you “embarrassed” when BO violated his oath of office, as cited above? You “liberals” are going to get just what you deserve. What goes around comes around. The big questions are; will McConnell grow a backbone? And will Lindsey Graham- who garnered a whopping <1% when he ran for president- realize that nobody cares about his opinions?